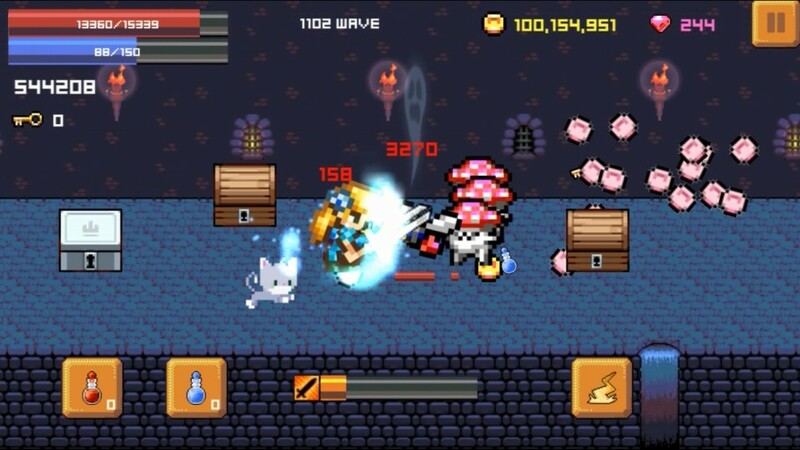 Noname Knight 3 by ZEMAT Studio is an endless RPG game with minimal control featuring retro 8-bit graphics and sound. The ruins of kingdom, started being bloody revenge. No, Noname Knight 3 is not your typical action platformer game. Noname Knight 3 focuses on levelling up your characters, equipment and pet. Once you have done your levelling and ready to fight, you will be dropped in a castle for some side-scroller action. However, you are not in control of the character. What you do is to be the knight's assistant. 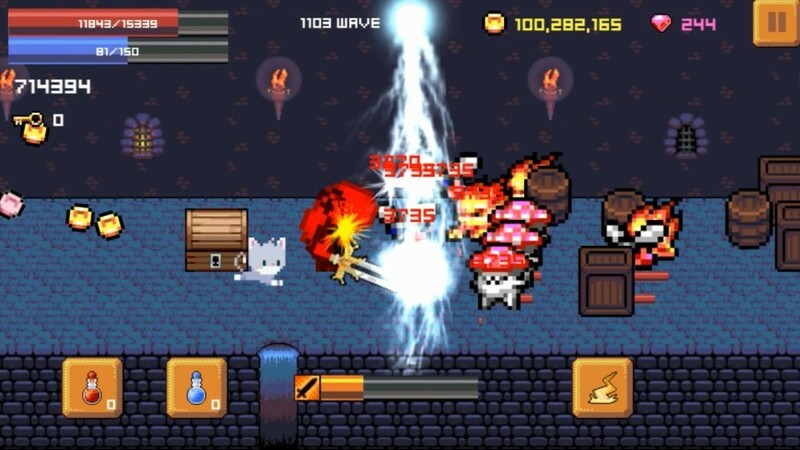 You need to trigger magic to help defeat the enemies, destroy barrels to collect coins and finally open treasure chest. All of these while the main hero is busy fighting the monsters. The good thing about the game is that once you beat the sub-boss, which is every 25 waves, the game record your progress. The next time you play again, you will start from the wave after you beat the boss. 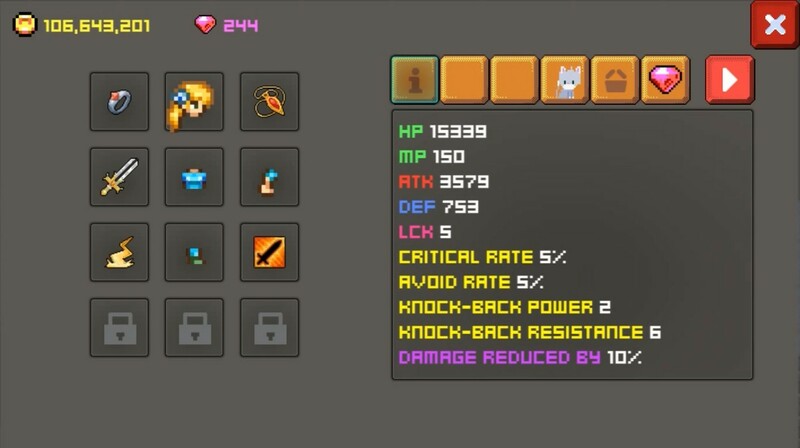 In terms of upgrades, there are plenty to upgrades such as weapon, your attack and defense attributes. There also items and accessories which will help you go further in the game. Overall, Noname Knight 3 is fun. I can play this game for quite a long period of time. It has the addictive flavor of an RPG game where you are addicted to level up your character to see how much stronger and badas* the hero becomes after an upgrade. There is something satisfying to be able to mow down your enemies after previous beat down!